I felt comfortable taking the exam, I felt like I knew most of it. I'm not dissapointed because I know the average is 3 attempts and although I went into the exam well prepared and well studied I didn't have expectations either way, just wanted to try my best. Can anybody suggest a better practice question software suite to use. I was using Transcender, but I don't feel that it resembled the actual exam? I also used Lammle's book and online questions. I could also use a good recommendation on ACLs, I got stumped on two ACL questions. I had 3 sims, got 2 out of 3 right for sure. That's about it about my exam experience. If anybody has any suggestions for my study(attack) plan for my next attempt based upon the above percentages and materials, let me know. Have you read this books personnally, the reviews on Amazon are not very complementary? Looks like you got a couple weeks of study left..... did you read Odem's book? That's a good one to learn the stuff, and the Sybex is a good review (and great subnetting book). Did you download the NAT update for the Sybex book? 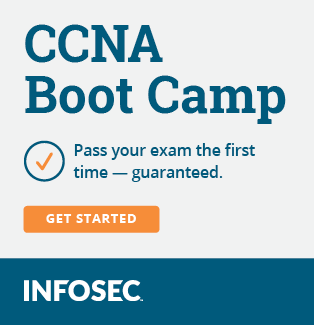 I've only used a Boson practice test for the CCNA, and the Cisco Press Flash Cards and Practice Exam for the CCNP (which is the Boson engine). I just go through the practice exam questions once (in a big lump un-time) and when I drop under 90% I review the topics for the questions I've gotten wrong, and then continue. I have read the ExamCram book, and I can tell you as a person that likes the ExamCram series a lot, that the CCNA is the worst that I have read. A large part of the reason is simply the number of topics that need to be covered in a shorter format. However, for the price, it may be a worth while investment ($23 on Amazon, $125 for a retake). Plus, the practice questions help a lot. I think INRTO and ICND books are the best, sybex is good too(I like that there is always promts status for example), but why should you have read same things twice? Know one book and know it good. You have to really understand the stuff, not just remember topics. 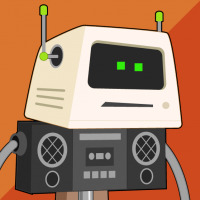 Know the details, interconnect them (like OSPF on Frame Relay and routing updates, configuring, alternatives... = example). I think you just didnt prepare enought, you cant stuck on ACL question, you have to do ACLs and analyze ACLs and implement ACLs excellent and fast. ACL is a must. "Starting to have doubts as to whether this book was the best source of my study material." "If you plan on buying this book you should consider buying another to go along with it"
Not to entirely discredit the books, but be careful, it's not widely accepted. Thanks for all the advice from everybody. I think that I studied alot, but just failed to connect all the dots. Rest assure I've bought a new coloring book and am now hard at work connecting the dots.